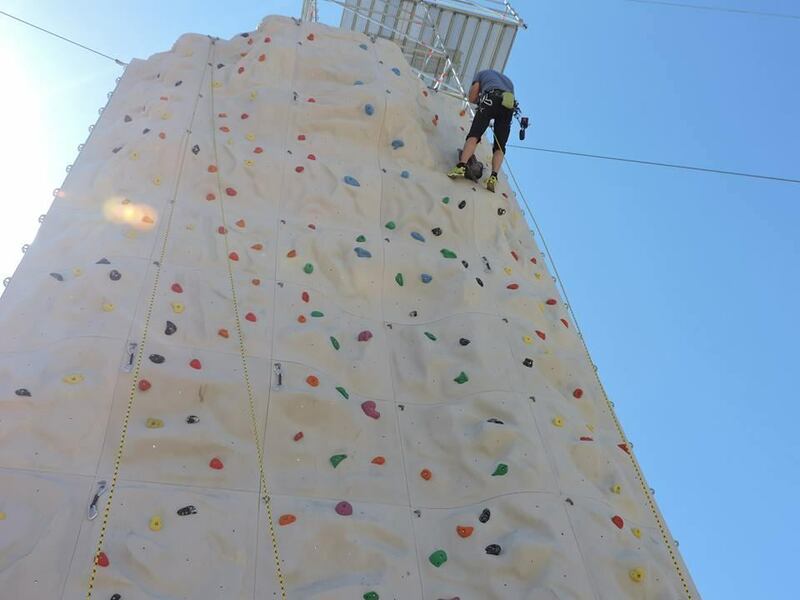 Our new climbing wall in Glavani Park is 60 square metres in total with ridges and overhangs and four rope anchors at the top. It's made by a Slovenian company called City Wall, well respected around the world, and all the grips are located by a professional climber - so you can expect a very exciting and tense climbing experience whatever your skills. In all there are 11 routes up if you stick to one colour and infinite routes if not. Qualified teams of climbers can climb with their own equipment, and then the price is 25 kuna per person per day.